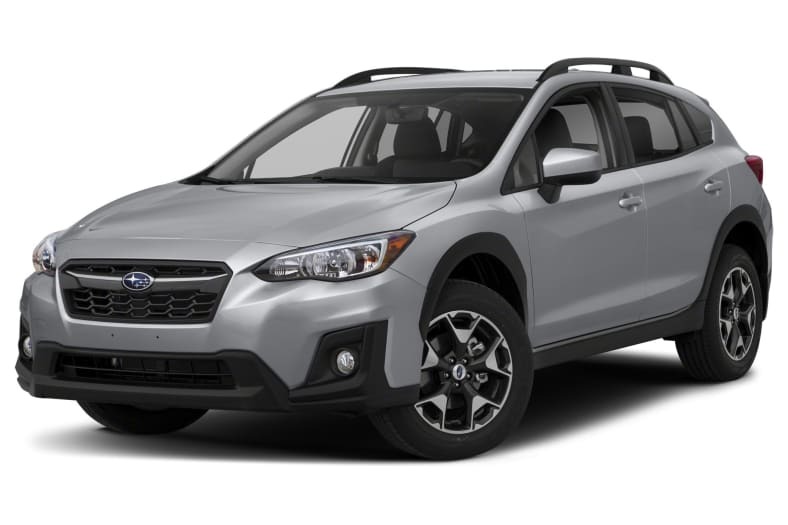 The second-generation Subaru Crosstrek is a 5-passenger compact SUV, offering all-weather versatility with a distinctive styling that sets it apart from other vehicles in its segment. The Crosstrek features Subaru's venerated Symmetrical All-Wheel Drive system and a raised suspension with impressive ground clearance; Active Torque Vectoring is also standard, helping to reduce understeer for improved cornering control. Power is supplied by a 152-hp 2.0-liter horizontally opposed four-cylinder 'boxer' engine, paired with a six-speed manual transmission; a continuously variable transmission (CVT) with paddle shifters is also offered. Trim-dependent standard equipment includes: steering responsive LED headlights, front fog lights, 18-inch aluminum wheels, passive entry/start, heated front seats, leather upholstery, automatic climate control, HD/satellite radio, smartphone integration, voice-activated navigation and an 8-inch LCD touchscreen display. Safety features include 4-wheel anti-lock brakes with brake assist, electronic stability/traction control systems and a rear-vision camera, as well as seven airbags; Blind Spot Detection, Rear Cross Traffic Alert and Subaru's EyeSight driver assist technology are also available. Following a significant refresh last year, the Subaru Crosstrek carries over with minimal changes for 2019. The Premium trim level gets an updated audio system with HD/satellite radio, while Subaru's EyeSight driver assist technology is now standard on Limited trims.